I was just wandering where the "training" is located? iGuide Camera System (Planitar) and immoviewer - two Premium Members of the We Get Around Forum Communnity - would likely take issue with the Matterport ad claim of "the only end-to-end realty capture system." 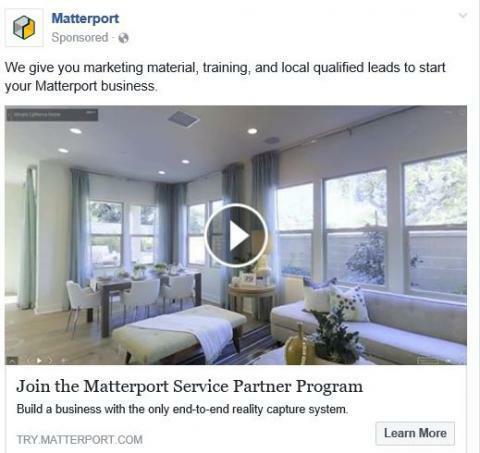 By the way, anyone spot a Matterport ad to help increase demand for Matterport Spaces 3D Tours? If RealVision were commenting, they would also take exception! They are more about selling the cameras than actually helping us create more demand. Every add I see is about buying the camera. Which I don't blame them, that is why they are in business. I just wish the would have adds that advertise finding a service provider as well.